Bike Breaks Girona Cycle Centre opened back in 2008. It is incredible how much Girona has evolved into the cycling hub it is today since then. And we, as Bike Breaks, have seen it all and have played a big part of this development. We’ve seen Girona grow from the days when it was just locals, a few tourists and Lance Armstrong cruising around the streets, to the pro cycling hub it is today. 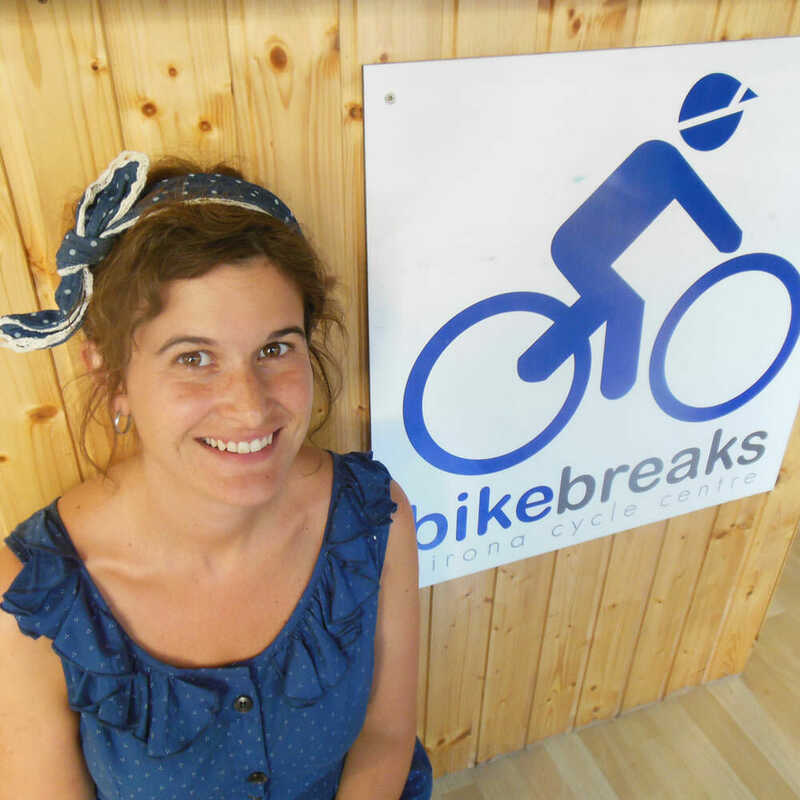 We started Bike Breaks as a team already 10 years ago after spending the 8 years prior to that gaining experience in the industry here in Girona to be able to establish our own family business. We both fell in love with the area for its beauty and all the possibilities it has for cycling as we are avid riders and qualified guides. We are also former competitors in local cross country races and European cup downhill marathon competitions. We wanted to create a great space where people could share in our passion for cycling, and we are very grateful and happy to see what Bike Breaks has become. 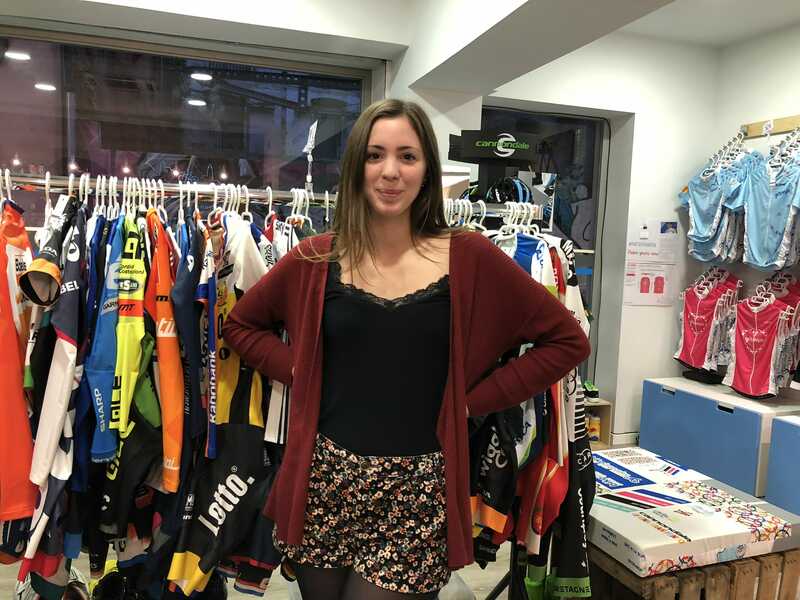 Our Girona Cycle Centre has become a special space constantly buzzing with excited cyclists – the perfect mix of riders from across the globe and the regular local Bike Breaks crew. Were a huge fleet of Cannondale bikes wait impatiently for the next ride and the walls are lined with dozens of pro jerseys, from back in the day old school, to fresh 2018 designs each signed by Girona professional riders, whom over the years have also befriended Bike Breaks. Saskia, from Holland and Dave, the UK, met in Girona around 15 years ago. 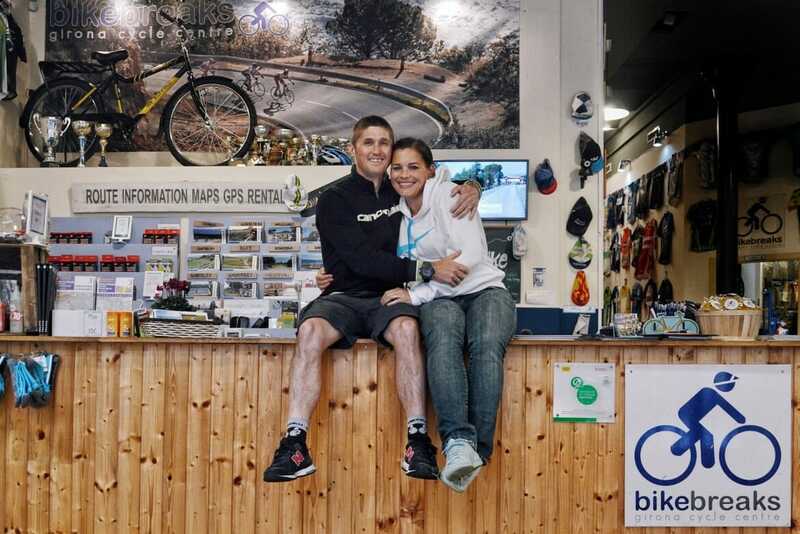 They fell in love, married and started Bike Breaks as a team. They have a gorgeous six year old daughter, Holly and since establishing the business, they have always had a very friendly, family feel to their shop. Their helpful, go-to attitudes and constant willingness to go the extra mile to help customers has gone a long way and really helped kick start their business back in 2008. Important part of the Bike Breaks family. Tourism graduate from Girona University. She has travelled extensively all around the world to eventually come back to her home town Girona. 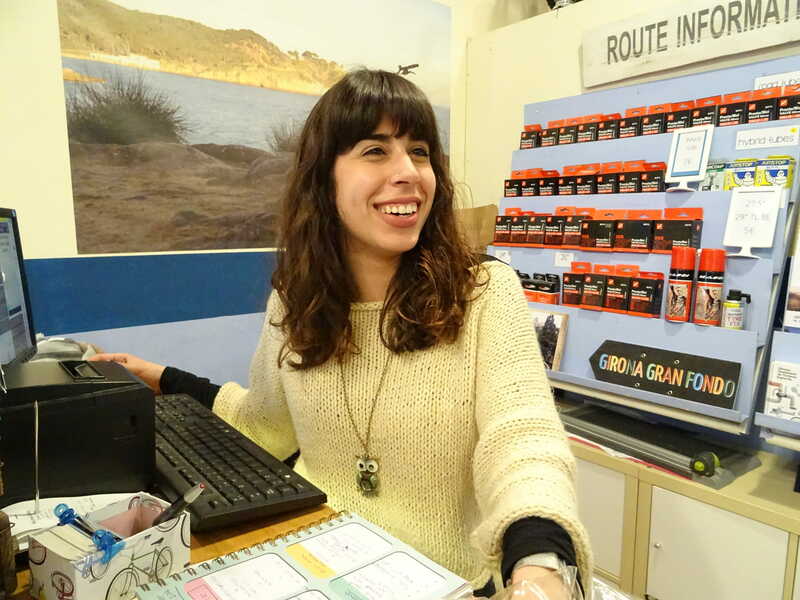 Anna has 11 years of experience working in the cycle and tourism industry, she speaks 4 languages (English, Spanish, French and Catalan) and is a great ambassador of the area. Boutique manager Júlia has worked in retail and design for over 7 years. Originally from Barcelona, she speaks 3 languages, has traveled and worked abroad. She is a highly accomplished web designer and manager. Tourism graduated from Girona University but originally from the Balearic Island of Menorca, she now has made her home in Girona. She speaks 5 languages and has extensive experience in event planning and costumer services. 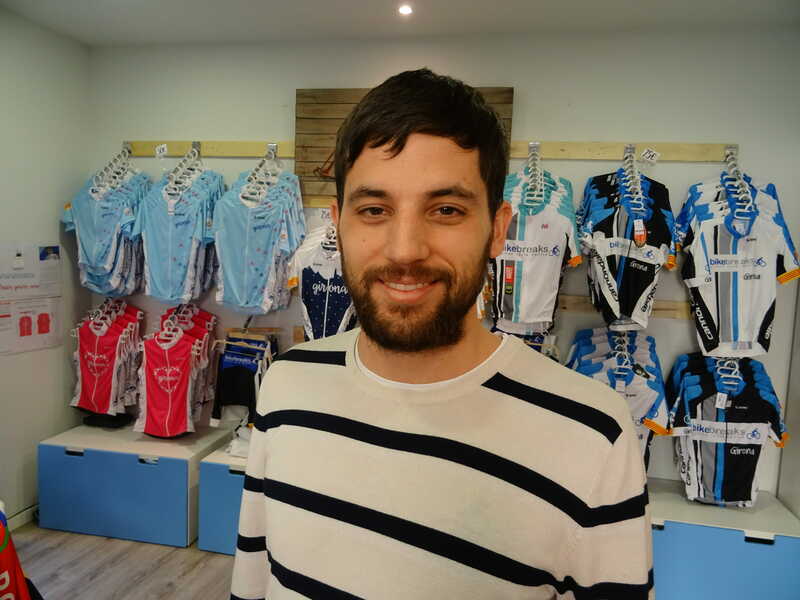 Girona local and accomplished cyclist, winning regional championships and has raced internationally for many years. He is a very experienced mechanic having worked in the bike industry for 25 years. Girona local, graduate in sports science. A keen amateur triathlete competing in national level triathlons. Also an experience cyclist. Oriol speaks 3 languages. He has lived in the Girona area his entire life and spends more time on his bike than off. His extensive knowledge of the roads and mountains cannot be bettered. Josep also posseses an encyclopedic knowledge of the areas history and culture and has literally hundreds of stories to tell. He has been racing at national level for over 35 years and is a highly accomplished rider. He has settled in Girona and having lived in the area for many years, he now calls it home. 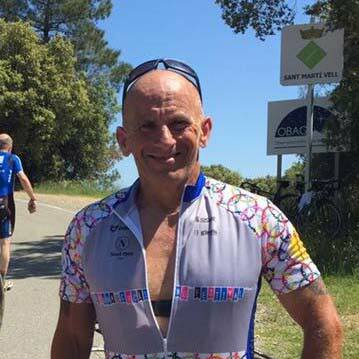 Des is a former Royal Marine with unrivalled experience of all forms of outdoor sport possible, having sky dived, scuba dived and of course cycled all over the world. 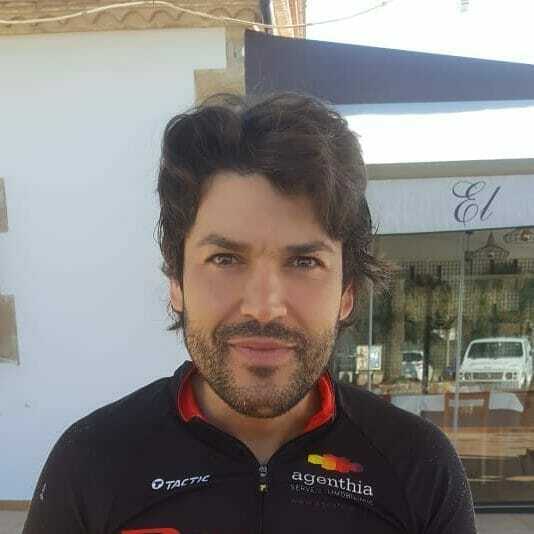 He is an accomplished amateur cyclist competing in many sportives and races each year ranking in top ten for his category. Passionate about his cycling and about the area, a better ride companion is hard to find.